Source: Negotiating Community and Difference in Medieval Europe: Gender, Power, Patronage, and the Authority of Religion in Latin Christendom. Edited by Katherine Allen Smith and Scott Wells Studies in the History of Christian Traditions . Brill, 2009. Pages 17 - 32. Source: Negotiating Community and Difference in Medieval Europe: Gender, Power, Patronage, and the Authority of Religion in Latin Christendom. Edited by Katherine Allen Smith and Scott Wells Studies in the History of Christian Traditions . Brill, 2009. Pages 151 - 171. 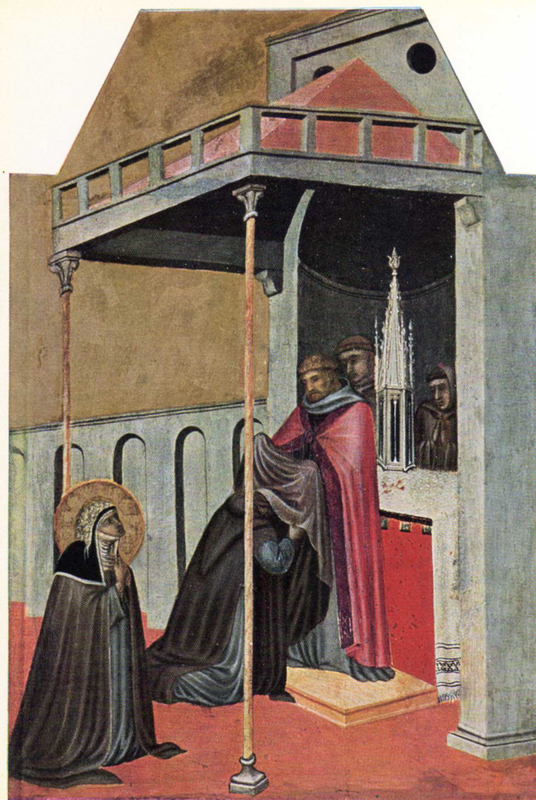 Source: Chiesa, vita religiosa, societa nel Medioevo italiano: Studi offerti a Giuseppina De Sandre Gasparini. Edited by Mariaclara Rossi and Gian Maria Varanini . Herder, 2005. Speculum , 81., 4 (October 2006): Pages 121 - 137. Source: Irish Women's History. Edited by Alan Hayes and Diane Urquhart . Irish Academic Press, 2004. Speculum , 81., 4 (October 2006): Pages 1 - 14. Source: Early Medieval Europe , 12., 3 ( 2003): Pages 229 - 258. Title : Women and Violence in Late Medieval Ireland [The author provides a brief overview of women who committed violent acts in Ireland. She concentrates on the case of Elicia Butler, abbess of Kilculliheen , who in the early sixteenth century attacked her nuns in anger. 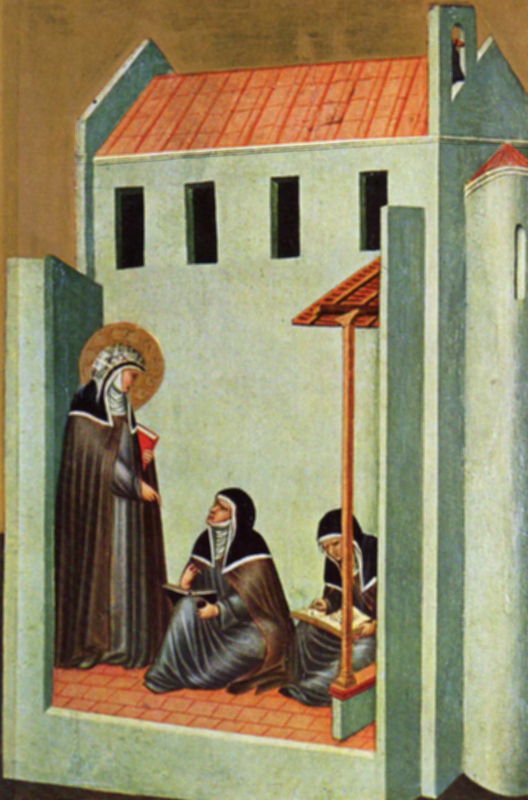 The author argues that the abbess violated social constraints on violence since she committed the violence herself, attacked social peers, and acted in anger rather than in an effort to discipline the nuns. Title note supplied by Feminae.]. Source: Studies on Medieval and Early Modern Women: Pawns or Players? Edited by Christine Meek and Catherine Lawless . Four Courts Press, 2003. Early Medieval Europe , 12., 3 ( 2003): Pages 131 - 140. Title : Herrad of Hohenbourg and the Poetry of the "Hortus deliciarum: Cantat tibi cantica" [The author provides a brief overview of Herrad's encyclopedic "Hortus." She suggests that in addition to the dedicatory poem for the women of Hohenberg, Herrad probably also wrote "De primo homine" and "Rithmus de Domino" which share her same tone of joyful love for Christ. 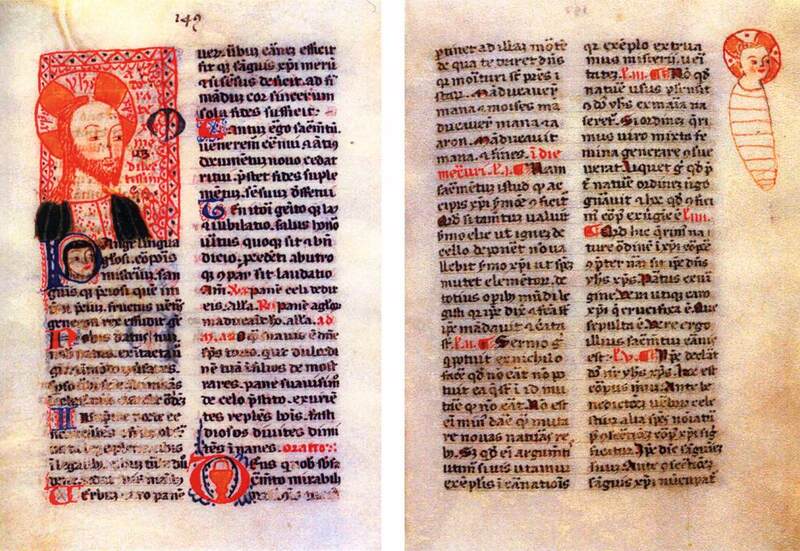 Latin texts and English translations of selected poems from the "Hortus deliciarum follow." Title note supplied by Feminae.]. Source: Women Writing Latin from Roman Antiquity to Early Modern Europe. Volume 2: Medieval Women Writing Latin. Edited by Laurie J. Churchill, Phyllis R. Brown, and Jane E. Jeffrey . Routledge, 2002. Hagiographica: Rivista di agiografia e biografia della società internazionale per lo studio del Medioevo Latino/ Journal of Hagiography and Biography of Società Internazionale per lo studio del Medioevo Latino , 9., ( 2002): Pages 231 - 263. Source: Women Writing Latin from Roman Antiquity to Early Modern Europe. Volume 2: Medieval Women Writing Latin. Edited by Laurie J. Churchill, Phyllis R. Brown, and Jane E. Jeffrey . Routledge, 2002. Early Medieval Europe , 12., 3 ( 2003): Pages 93 - 131. Source: Theological Studies , 61., 3 (September 2000): Pages 481 - 507. Source: Speculum , 74., 4 (October 1999): Pages 992 - 1020. Source: Studi Medievali , 39., 2 (Dicembre 1998): Pages 601 - 632. Source: Women, Marriage, and Family in Medieval Christendom: Essays in Memory of Michael M. Sheehan, C.S.B. Edited by Constance M. Rousseau and Joel T. Rosenthal . Western Michigan University, 1998. Speculum , 74., 4 (October 1999): Pages 19 - 46. Title : The Old English "Ritual of the Admission of Mildrith" (London, Lambeth Palace 427, fol. 210) [Mildrith's mother, Domne Eafe, was abbess of Minister-in-Thanet and formally admitted her daughter to the nunnery; the text bears witness to the traditions of double monasteries]. Source: JEGP: Journal of English and Germanic Philology , 97., 3 (July 1998): Pages 311 - 321. Title : Abbess: 'Mother and Teacher' [The author analyzes the many roles that Hildegard of Bingen played as abbess]. Source: Voice of the Living Light: Hildegard of Bingen and Her World. Edited by Barbara Newman . University of California Press, 1998. Anglo-Saxon England , 27., ( 1998): Pages 30 - 51. Title : Come studiare il monachesimo femminile [The history of nuns needs to go beyond famous names to include nuances of rules, practices, and the daily lives of the sisters. The least formal elements are the hardest to recover. Records and writings produced by nuns are scarce, and accounts of women mystics most often were written by men]. Source: Il monachesimo femminile in Italia dall' Alto Medioevo al secolo XVII a confronto con l' oggi. Edited by Gabriella Zarri . San Pietro in Cariano: Il Segno dei Gabrielli editori, 1997. Analecta Bollandiana , 115., 40180 ( 1997): Pages 1 - 15. Author(s): Medici, Maria Teresa Guerra. 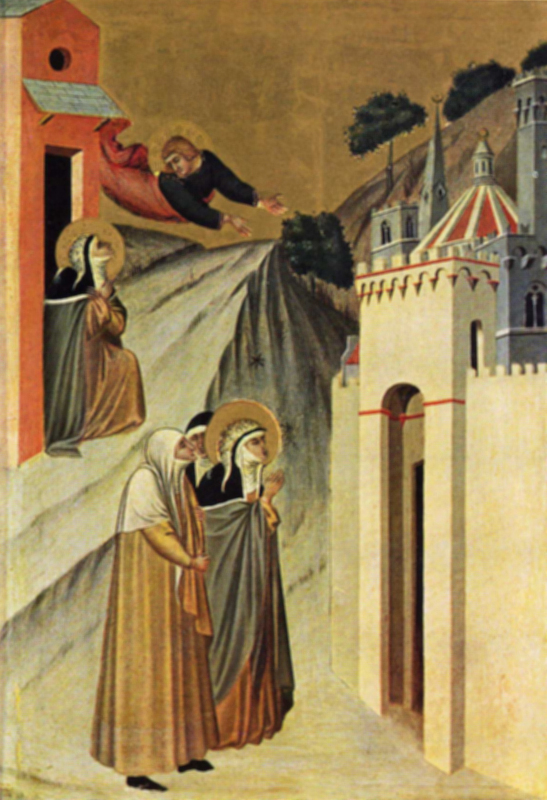 Title : Sulla giurisdizione temporale e spirituale della abbadessa First recorded in the West in the sixth century, abbesses had considerable power over their nuns and over any estates owned by the monastery. Beginning with the time of Charlemagne, legislators tried to prohibit abbesses from performing certain ritual acts, like vesting their new nuns, prohibitions that entered the canon law. Gregory IX did concede an abbess the power to censure critics who disobeyed them. Canonists described this as a customary power, involving a command to ordained clergy to censure the disobedient. 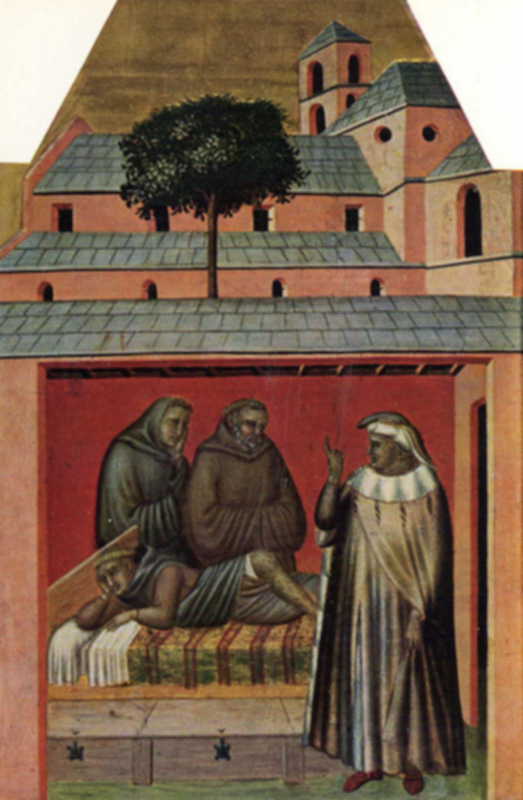 Baldus de Ubaldus and other jurists defended the immunity of abbesses from imprisonment because of the debts of their monasteries]. Source: Il monachesimo femminile in Italia dall' Alto Medioevo al secolo XVII a confronto con l' oggi. Edited by Gabriella Zarri . San Pietro in Cariano: Il Segno dei Gabrielli editori, 1997. Analecta Bollandiana , 115., 40180 ( 1997): Pages 75 - 86. Title : Monachesimo femminile nel Mezzogiorno medievale e moderno [The monastic history of southern Italy is complex. Several orders were present, some of Greek background; and regions display differences between them. 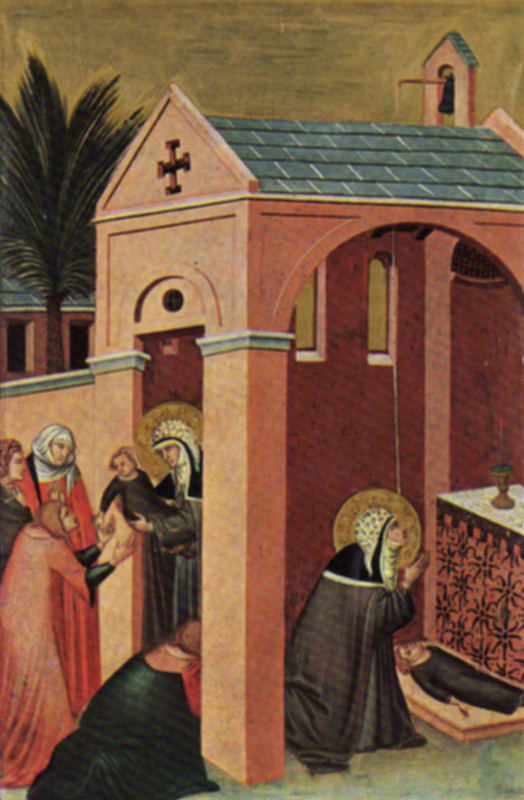 Lay patrons often reserved to themselves the right to name the abbess, and nuns even built themselves private houses within the enclosure. Reform of these houses might require importing a new abbess from elsewhere, as well as strict enforcement of monastic enclosure and proper care for the monastery's patrimony]. Source: Il monachesimo femminile in Italia dall' Alto Medioevo al secolo XVII a confronto con l' oggi. Edited by Gabriella Zarri . San Pietro in Cariano: Il Segno dei Gabrielli editori, 1997. Analecta Bollandiana , 115., 40180 ( 1997): Pages 169 - 191. 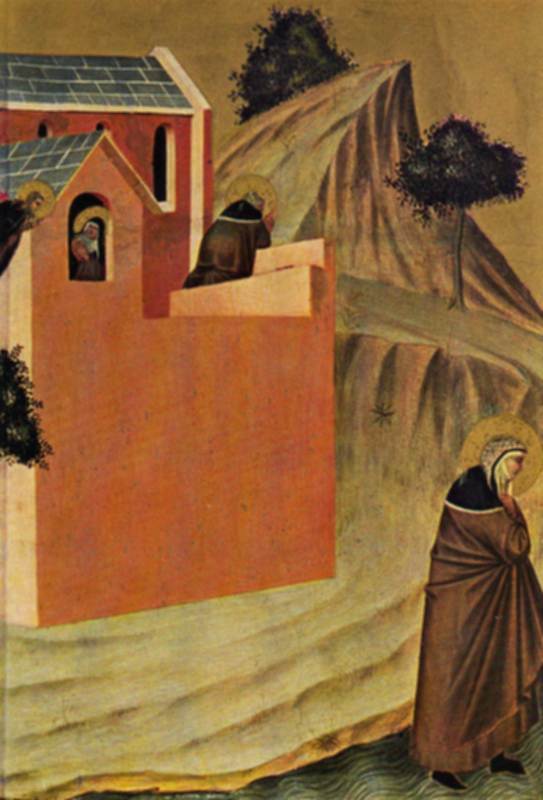 Title : Le Clarisse nelle Marche gli insediamenti del XIII secolo [Houses of Poor Clares began appearing in the March of Ancona by the middle of the thirteenth century. Their early histories can be documented from privileges granted by popes, cardinals, and bishops. Among the most frequent grants were those for indulgences and immunity from episcopal juristiction. Houses of Clares spred in the March early on, often developing in larger towns that also had nearby convents of friars to provide for their spiritual care. Title note provided by Feminae.]. Source: Collectanea Franciscana , 67., 40180 ( 1997): Pages 105 - 166. Title : Women of Discipline During the Second Iconoclast Age [nuns' support of icons and of their abbesses contrasted with monks' behavior, 815-843]. Source: Byzantinische Zeitschrift , 89., 1 ( 1996): Pages 37 - 44. Source: Holy Men and Holy Women: Old English Prose Saints' Live and Their Contexts. Edited by Paul E. Szarmach . State University of New York Press, 1996. Byzantinische Zeitschrift , 89., 1 ( 1996): Pages 51 - 93. Source: Medieval Family Roles: A Book of Essays. Edited by Cathy Jorgensen Itnyre . Garland Publishing, 1996. Byzantinische Zeitschrift , 89., 1 ( 1996): Pages 3 - 19. Title : Missionary Nuns and the Monastic Vocation in Anglo-Saxon England [nuns aided the missionary efforts of Boniface and his colleagues in Germany through their prayers and gifts; a few nuns, most notably Leoba, travelled to Germany, founded monasteries, and served as abbesses]. Source: American Benedictine Review , 47., 2 (June 1996): Pages 141 - 174. Title : Is Mother Superior? Towards a History of Feminine "Amtscharisma"
Source: Medieval Mothering. Edited by John Carmi Parsons and Bonnie Wheeler . Garland Publishing, 1996. American Benedictine Review , 47., 2 (June 1996): Pages 117 - 138. Source: Portraits of Medieval and Renaissance Living: Essays in Honor of David Herlihy. Edited by Samual K. Cohn, Jr. and Steven A. Epstein . University of Michigan Press, 1996. Pages 189 - 205. Source: The Cultural Patronage of Medieval Women. Edited by June Hall McCash . University of Georgia Press, 1996. Pages 105 - 154. 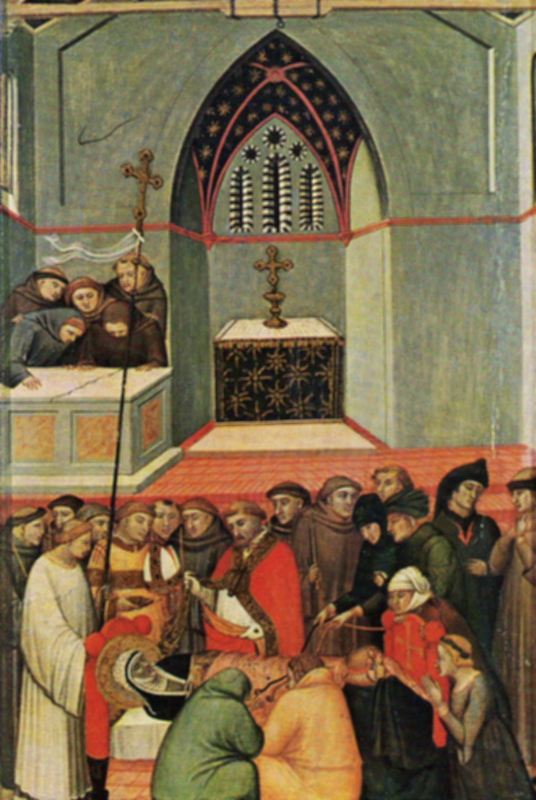 Reprinted in Art in the Medieval West and its Audience. By Madeline H. Caviness. Ashgate Variorum, 2001. Article 6. Title : Peccadillo and Veniality in the "Cantigas de Santa María"
Source: Bulletin of the Cantigueiros de Santa Maria , 8., (Spring 1996): Pages 31 - 34. Title : Integritas in Rudolph of Fulda's "Vita Leobae Abbatissae"
Source: Parergon: Bulletin of the Australian and New Zealand Association for Medieval and Renaissance Studies. New Series , 13., 1 (July 1995): Pages 33 - 51. Source: Moyen Age , 101., 40241 ( 1995): Pages 384 - 406. Title : A Poet Abbess from Notre-Dame de Saintes [verses on a mortuary roll are attributed to Sibille, fifth abbess of the monastery; in the poems she celebrates the deceased, Abbess Mathilda of Holy Trinity Monastery, Caen, and reflects on the inevitability of death]. Source: Magistra , 1., 1 (Summer 1995): Pages 39 - 54. Source: Hidden Springs: Cistercian Monastic Women. Book One. Medieval Religious Women Volume Three. Edited by John A. Nichols and Lillian Thomas Shank, O.S.C.O Cistercian Studies Series . Cistercian Publications, 1995. Magistra , 1., 1 (Summer 1995): Pages 85 - 134. Author(s): Tartara, Lucia, O.C.S.O. and Manuela Strola, O.C.S.O. Source: Hidden Springs: Cistercian Monastic Women. Book One. Medieval Religious Women Volume Three. Edited by John A. Nichols and Lillian Thomas Shank, O.S.C.O Cistercian Studies Series . Cistercian Publications, 1995. Byzantinische Zeitschrift , 89., 1 ( 1996): Pages 283 - 303. Title : Fra corruzione e riforme: i monasteri femminili della città e del territorio di Lucca nella seconda metà del Trecento e nel primo Quattrocento [complaints about physical or moral decay of women's monasteries in Lucca mounted following the Black Death and the beginning of the Great Schism; reform of these houses could be impeded by exemption from episcopal control; nonetheless, visitations were held under the Guinigi regime; some monasteries received good reports, but others were penalized for moral or financial abuses; some nuns were confined to other monasteries as punishments]. Source: Ilaria del Carretto e il suo monumento: la donna nell'arte, la cultura, e la società del '400. Atti del convegno Internazionale di Studi, 15-16-17 Settembre, 1994, Palazzo Ducale, Lucca. Edited by Stéphane Toussaint. Translated by Clotilde Soave Bowe. . Edizioni S. Marco Litotipo, 1995. Magistra , 1., 1 (Summer 1995): Pages 165 - 197. Source: Hidden Springs: Cistercian Monastic Women. Book One. Medieval Religious Women Volume Three. Edited by John A. Nichols and Lillian Thomas Shank, O.S.C.O Cistercian Studies Series . Cistercian Publications, 1995. Byzantinische Zeitschrift , 89., 1 ( 1996): Pages 29 - 48. Title : Feminine Rhetoric and the Epistolary Tradition: The Boniface Correspondence [discusses letters written by Eangyth and Bugga and Abbess Ecgburg to Boniface and letters from the nun Berhtgyth to her brother Balthard]. Title : Merovingian Monastic Women: A Work in Progress [second in a series of articles drawn from a biographical dictionary of Benedictine women compiled by the late author; the editors of Magistra are revising the manuscript and adding bibliographical sources in preparation for final publication]. Source: Magistra , 1., 2 (Winter 1995): Pages 333 - 372. Title : Anglo-Saxon Monastic Women: A Work in Progress [the late author compiled a biographical dictionary of Benedictine women; the editors of Magistra are revising the manuscript and adding bibliographical sources in preparation for final publication]. Source: Magistra , 1., 1 (Summer 1995): Pages 139 - 171. Title : Anglo- Saxon Double Monasteries [abbesses in charge of double monasteries often came from royal families; their powerful influence was felt in education, politics, and the Church]. Source: History Today , 45., 10 (Oct. 1995): Pages 33 - 39. Title : Rerouting the Dower: The Anglo- Norman Life of St. Audrey by Marie (of Chatteris?) [St. Audrey (Latin: Etheldreda) was a 7th century queen of Northumbria, a twice married virgin, and a monastic foundress]. Source: Power of the Weak: Studies on Medieval Women. A selection of a papers presented at the annual conference of the Centre for Medieval Studies, University of Toronto, Feb. 1990. Edited by Jennifer Carpenter and Sally- Beth MacLean . University of Illinois Press, 1995. History Today , 45., 10 (Oct. 1995): Pages 27 - 56. Author(s): Winter, Johanna Maria van. Source: The Empress Theophano: Byzantium and the West at the Turn of the First Millennium. Edited by Adelbert Davids . Cambridge University Press, 1995. History Today , 45., 10 (Oct. 1995): Pages 86 - 98. Author(s): Bouton, Jean de la Croix. Source: Les Religieuses dans le Cloître et dans le Monde des Origines à Nos Jours. Actes du Deuxième Colloque International de C.E.R.C.O.R. Poitiers, 29 septembre-2 octobre 1988. . Publications de l'Université de Sainte-Etienne, 1994. Magistra , 1., 1 (Summer 1995): Pages 187 - 196. Title : Politics in the Convent: The Election of a Fifteenth Century Abbess [the record of Perrine du Feu's election by scrutin gives evidence of political maneuvering and factionalism; in the end the rank and file prevailed over the older, higher ranking members]. Title : Les Pouvoirs des abbesses dans les couvents de femmes de la congrégation de Bursfeld [the reformers from Bursfeld decided that Benedictine abbots and abbesses needed to have their powers restricted]. Source: Les Religieuses dans le Cloître et dans le Monde des Origines à Nos Jours. Actes du Deuxième Colloque International de C.E.R.C.O.R. Poitiers, 29 septembre-2 octobre 1988. . Publications de l'Université de Sainte-Etienne, 1994. Pages 219 - 238. Source: Les Religieuses dans le Cloître et dans le Monde des Origines à Nos Jours. Actes du Deuxième Colloque International de C.E.R.C.O.R. Poitiers, 29 septembre-2 octobre 1988. . Publications de l'Université de Sainte-Etienne, 1994. American Benedictine Review , 45., 3 (September 1994): Pages 111 - 124. Source: Les Religieuses dans le Cloître et dans le Monde des Origines à Nos Jours. Actes du Deuxième Colloque International de C.E.R.C.O.R. Poitiers, 29 septembre-2 octobre 1988. . Publications de l'Université de Sainte-Etienne, 1994. American Benedictine Review , 45., 3 (September 1994): Pages 165 - 185. Title : Saint Æðelþryð: A Historical-Hagiographical Dichotomy Revisited [The author examines Bede's account of St. Aethelthryth in his "Ecclesiastical History." He celebrates her as the closest English equivalent to a virgin martyr. Later accounts built a whole line of royal abbesses after Aethelthryth (beginning with her sister Seaxburh), but contemporary evidence suggests that Ely was only a personal monument to her particular asceticism. It was not a center of learning and probably faded soon after her sister's death only to be refounded as a male monastery which enhanced and capitalized on Aethelthryth's reputation for sanctity. Title note supplied by Feminae.]. Source: Nottingham Medieval Studies , 38., ( 1994): Pages 18 - 34. Source: Annales de Bretagne et des Pays de l'Ouest , 99., 3 ( 1992): Pages 205 - 213. 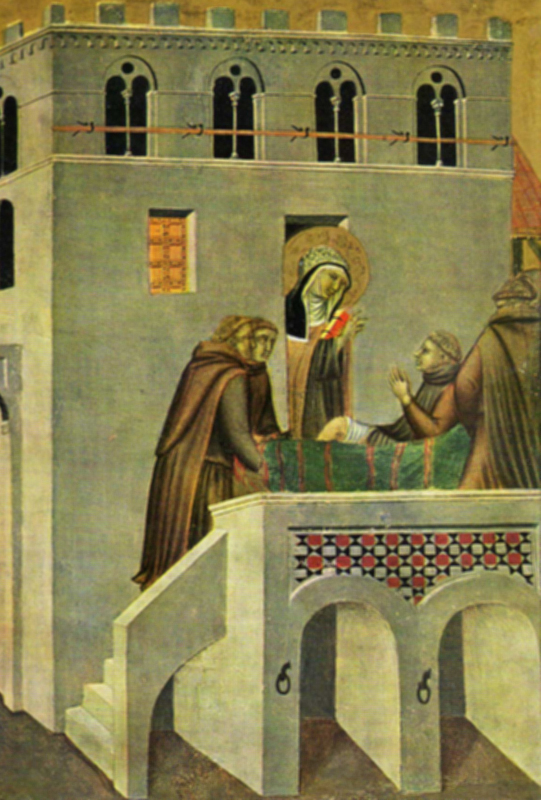 Title : Queens, Virgins, and Mothers: Hagiographic Representations of the Abbess and Her Powers in Twelfth- and Thirteenth-Century Britain [The author briefly explores a variety of themes related to abbesses including royalty, vocation, virginity, role as a mother, asceticism, and miracles. Wogan-Browne also compares the activities of Saint Modwenna as reported in her Anglo-Norman life with records concerning Ela, countess of Salisbury and founder-abbess of the convent of Lacock. The author argues that the ultimate goals for administration, protection, and economic development of their respective houses were very much the same. Title note supplied by Feminae.]. Source: Women and Sovereignty. Edited by Louise Olga Fradenburg. Cosmos: The Yearbook of the Traditional Cosmology Society, volume 7 Cosmos: The Yearbook of the Traditional Cosmology Society, 7. Edinburgh University Press, 1992. Nottingham Medieval Studies , 38., ( 1994): Pages 14 - 35. Source: Revue du Nord , 74., 295 (avril-juin 1992): Pages 221 - 237. Source: A Wyf Ther Was: Essays in Honour of Paule Mertens-Fonck. Edited by Juliette Dor . English Department, University of Liège, 1992. Revue du Nord , 74., 295 (avril-juin 1992): Pages 256 - 263. Title : The Muses of the "Cançoner Eròtic" of Ripoll [The author proposes that two figures in the Latin poem "Cançoner Eròtic de Ripoll" be identified with abbesses, one at Remiremont and the other at Ripoll in Spain. In both cases the women were identified with sexual scandals at their monasteries. However, the poet does not censure the women but praises them for their beauty. Title note supplied by Feminae.]. Source: Mittellateinisches Jahrbuch , 26., ( 1991): Pages 133 - 139. 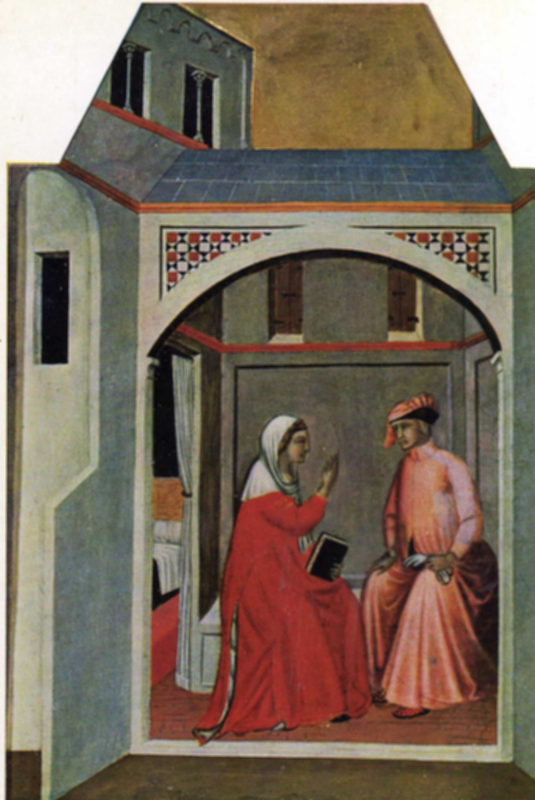 Title : Women in Power: Fontevrault and the Paraclete Compared [The author argues that the Paraclet under Heloise shared many similarities with Fontevrault. Most importantly both institutions and their daughter houses were independent, not being affiliated with any monastic order and using their own rules. Both called for strong abbesses who held authority even over male functionaries. With their emphasis on female responsibility, both houses made provisions for noncloistered nuns to do business with the world. Title note supplied by Feminae.]. Source: Comitatus , 22., ( 1991): Pages 55 - 69. Source: Medieval Women and the Sources of Medieval History. Edited by Joel T. Rosenthal . University of Georgia Press, 1990. Mittellateinisches Jahrbuch , 26., ( 1991): Pages 321 - 341. Title : The Charters of Le Ronceray D'Angers; Male/Female Interaction in Monastic Business [The author briefly documents and analyzes women's and men's interactions and roles in administering the female Benedictine monastery of Ronceray d'Angers in western France. Gold compares working relationships with Fontevrault to demonstrate that the Ronceray abbesses had less clean-cut control over the priests and coanons attached to thier houses. Title note supplied by Feminae.]. Source: Medieval Women and the Sources of Medieval History. Edited by Joel T. Rosenthal . University of Georgia Press, 1990. Mittellateinisches Jahrbuch , 26., ( 1991): Pages 122 - 132.